Ok. So far, you've introduced yourself to the GL, you've updated your guild note and you've had a once over of your toon on askmrrobot. Mrrobot and this step are more about making sure you bring a strong toon to the table than about introductions. Icy-veins not only has rotation, talent, glyph, stats and other awesome information, they also list all raid encounters and what each specific class brings to the table. 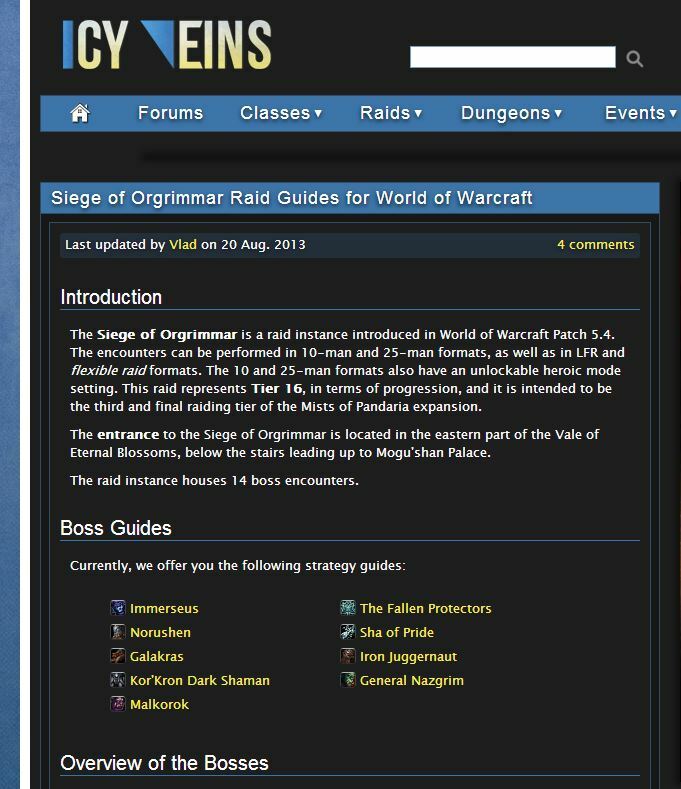 Read this and be ready on raid night! 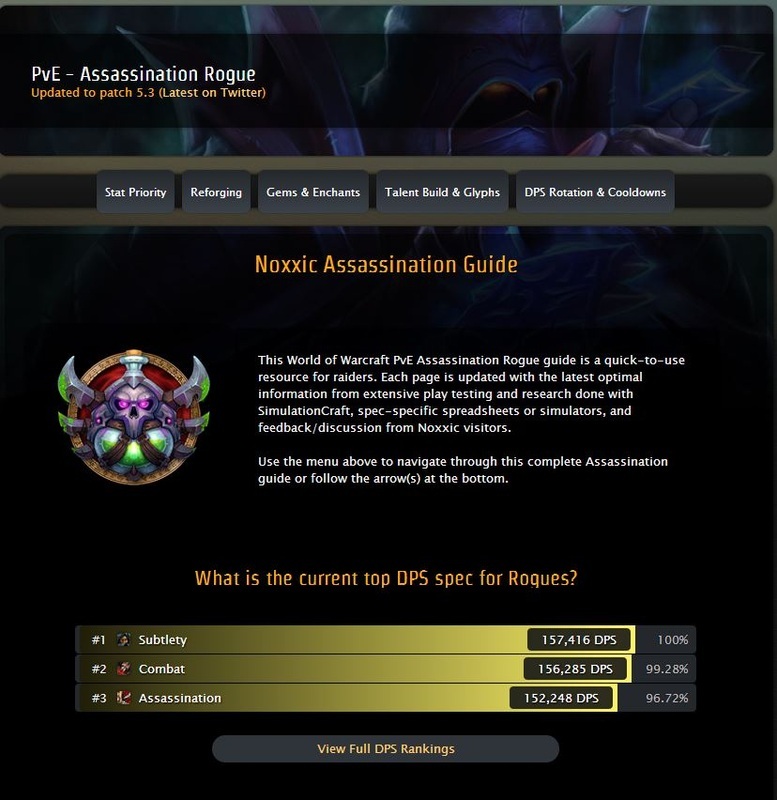 Noxxic has stats, reforges, talents, glyphs etc. just like icyveins but will offer a slightly different perspective. It is useful to read about your class from both sites and gleam as much information as possible. Those are two wonderful sites but when all else fails and you have questions about your class, spec or fight mechanics use Google! Put your knowledge of your class to use, read all you can to learn new techniques and confer with guildies to constantly strive to improve your play style. The best raiders always stay one step ahead and adapt quickly to any changes that come their way; They fight till the very end always seeking progression!